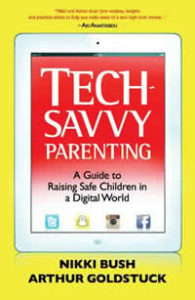 If you wish to develop your parenting skills to fit the new digital era, this new book, Tech Savvy Parenting, is available in print and eBooks versions. Scroll down to the bottom of this page to add to our live Facebook feed about your expectations of the book or the issues you hope it will address OR, if you have read the book, please let us know what you think. To order the print book click here. To order the eBook in pdf format click the Buy & Download button in the block on the right of this screen. To order the print or Kindle book from Amazon, click here . For families to remain connected, both online and offline, and for young people to develop into responsible digital citizens, parents must bridge the digital divide to their children by understanding the attraction of social media and technology, how communication is changing, and how technology is changing the world. This book is filled with practical advice that will help you to navigate the digital space, together with your children, with greater confidence. Nikki Bush and Arthur Goldstuck take you on a journey from the biggest screens in your child’s life to the smallest: from the passive entertainment of the television to the interactive nature of gaming and Internet-linked computers, to the realm of social networking – often accessed via a smartphone. Whether you have a baby or a teenager, this book is for you! As the Internet turns 25 this year, there is no doubt that this complex mesh of connectivity has changed humankind forever. The Internet has broken down barriers faster than any other communications medium in the history of civilisation, and it is symbolically significant that, in the same year the World Wide Web was born, the Berlin Wall came crashing down. In the ensuing decades, dictatorships tumbled and we saw despots being overthrown thanks to the power of connectivity in ordinary peoples’ hands. At the same time, the Internet, coupled with technological innovation, has seen massive advances in the power of computing. These giant strides have made telecommunications accessible to billions. The miniaturisation of computers has enabled mobility and there is some kind of connectivity on every corner of the planet. For the first time in history, children are using the same technology as their parents and they know how to use it better, although not necessarily responsibly. They have the same access to the world as we do. In fact, we are the first generation of parents that will never keep up with the prevailing technology and finds itself constantly on the back foot, playing catch-up and desperately trying to understand the wired generation that is our children. This is why this book is so important. Tech-savvy Parenting connects parenting and technology in an accessible way to assist understandably anxious parents, some of whom are suffering from a severe case of technophobia, as well as those who have decided to throw up their hands in surrender and allow their children to do what they like in the digital world. Nikki Bush and Arthur Goldstuck take you on a journey from the biggest screens in your child’s life to the smallest: from the passive entertainment of the television to the interactive nature of gaming and Internet-linked computers, to the realm of social networking – often accessed via a smartphone. As parents themselves, Nikki and Arthur share their wisdom, insights, personal anecdotes and practical advice to help you make sense of this new high-tech normal that is making an impact on our children’s development and the way we need to parent them. It is a much-needed guide from two people walking the same journey as you, that provides context and perspective. It is reassuring to know that all is not lost – that parents really do still have a vital role to play in their children’s lives, that we don’t have to throw the baby out with the bathwater, and that common sense still applies. 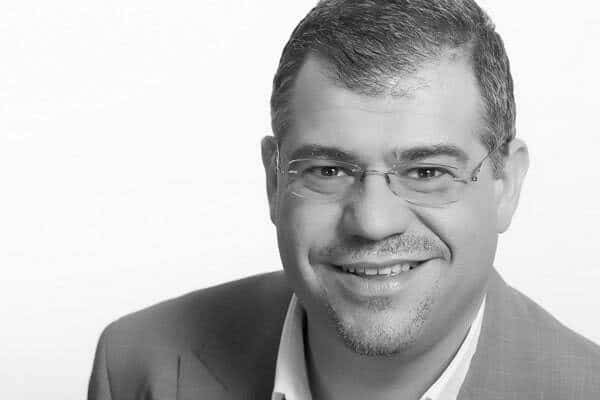 Aki Anastasiou, aka The Greek Geek, hosts Technobyte on Talk Radio 702 and the television show Tech Busters on CNBC Africa. He also talks on disruptions and the impact that future technologies are going to have on the world. Follow him on Twitter on @AkiAnastasiou . Nikki Bush is co-author of two bestselling books, Future-proof Your Child and Easy Answers to Awkward Questions, writes a weekly parenting column and is a regular radio and TV guest. She is the parenting expert for SABC3’s Expresso, the family expert for Longevity and is on the advisory team for Living & Loving. Arthur Goldstuck publishes the online consumer technology magazine Gadget.co.za, and is author of 18 books, including South Africa’s best-selling information technology book yet, The Hitch-hiker’s Guide to the Internet. His weekly gadgets column is the most widely syndicated technology column in South Africa.